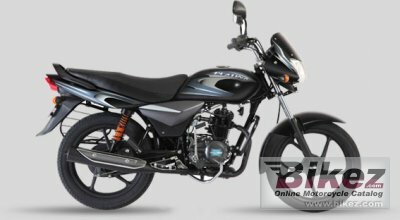 2014 Bajaj Platina 100. Picture credits - Bajaj. Submit more pictures. A class apart, the Bajaj Platina boasts of a legendary 4 stroke 100cc engine that has established a benchmark in mileage. When you ride the Platina, you know you have made a wise choice. Ask questions Join the 14 Bajaj Platina 100 discussion group or the general Bajaj discussion group.